They wanted some contact info for the visor thief (which, by the way, is apparently what they actually call him at school). Oh, and do you have any other interesting “stories behind the stories” about crazy stuff that happened at the Iron Bowl, after the Iron Bowl, through the magic of the Iron Bowl? 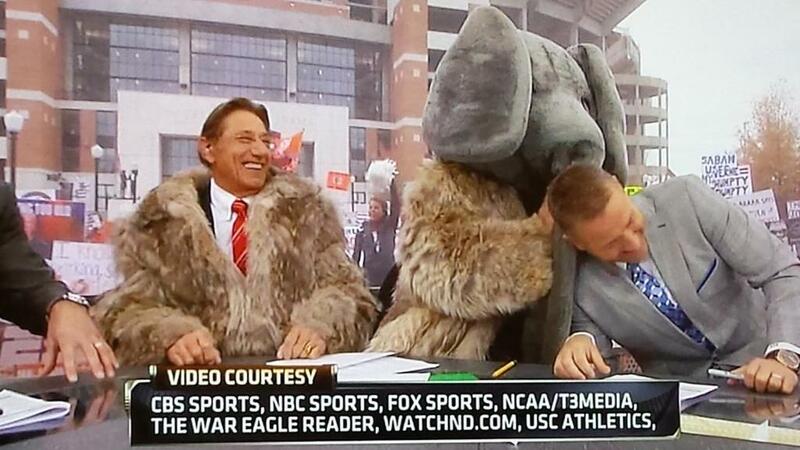 And so an ESPN College GameDay segment was born. 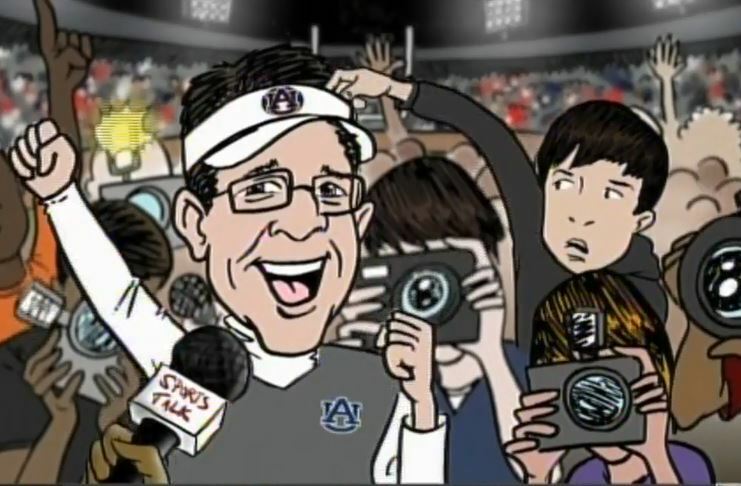 There’s Hayden once again trying to return Malzahn’s “abducted” holy Iron Bowl halo–in person this time, thanks to the string-pulling power of the World Wide Leader–only to have “Coach Gus” autograph it and hand it right back to him. God works in mysterious ways. Oh, and for all you Iron Bowl quake deniers out there, it’s now ESPN gospel, and by God that’s all it takes.